SAN ANTONIO – San Antonio FC made national headlines last week as made Leo Torres the youngest professional signing in USL Championship history aged only 15 years, 23 days old. In the bigger picture, though, it continued a trend that has seen numerous young players either turn professional with their local USL Championship club or sign a USL Academy contract that allows them to retain their college eligibility. With players including Orange County SC’s Aaron Cervantes Sacramento Republic FC’s Roberto Hategan and having joined the professional ranks at the age of 15 and 16 years old respectively, or Torres’ SAFC teammate Ethan Bryant having made 10 appearances for the side last year as a 17-year-old Academy signing, the opportunity that strong professional clubs in the USL Championship and the newly-established USL League One brings for talented young players is evident. “There are players all over this country and it becomes about the opportunity they have,” San Antonio Head Coach Darren Powell told The Athletic’s Paul Tenorio. Having previously run Orlando City’s academy and coached at Elon University, Powell has a strong understanding of the challenges the landscape brings, but also what the continued growth of Academy programs in places like San Antonio can bring. The spotlight of playing in the USL Championship and training at the professional level has opened doors for players like Bryant, Hategan and Cervantes, who thanks to the United Soccer League’s overall investment in broadcast and video technology are easily visible for those within the Youth National Team program. More than half the players in the U.S. U-20 National Team squad that claimed the Concacaf U-20 Championship last November had previously played in the USL Championship, and it’s clear that Lepore and U-20s Head Coach Tab Ramos will be keeping an eye on players within the Championship and League One that could be in line to make the final squad for May’s FIFA U-20 World Cup in Poland as the new season kicks off next month. 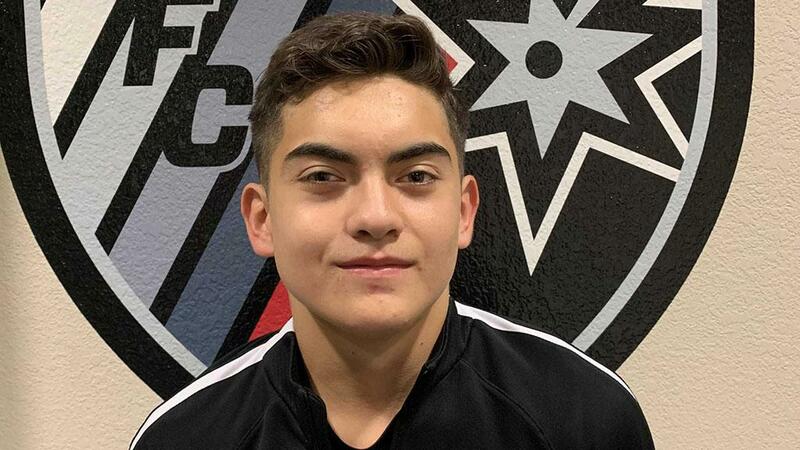 Torres, who is currently part of the U.S. U-15 National Team, may not be part of that group yet, but he’s now starting a journey that should it come to full fruition would see him follow Championship alumni like Tyler Adams and Alphonso Davies – himself a previous holder of the league’s youngest signing mantle – to the top levels. But for Torres and his family, getting the chance to do that with his hometown club, and potentially represent SAFC at Toyota Field soon, is as important as whatever the future may hold.